The EPA recently released fuel economy figures for the 2018 Chevrolet Equinox Diesel, and at 28 city/39 highway/32 combined, they’re good. Very good. Best In Class Good. But will anyone buy this thing? After running some numbers and looking at specs, it looks like an incredibly tough sell. The Equinox diesel’s MPG figures are great, the range per tank of fuel is excellent, and the car apparently makes 90 percent of its torque at 1,500 RPM. That all sounds wonderful, but as you dive into the price of diesel fuel and the cost premium for the motor, and start looking at the torque figures of the other engine options, it’s hard not to wonder if anyone’s going to buy this thing. You might think crossover shoppers would go for the Equinox Diesel to save money on fuel, so let’s walk through some numbers to see if that makes sense. 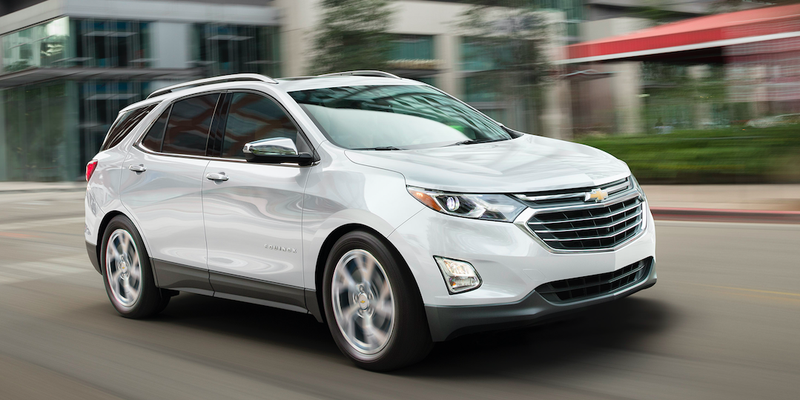 Hop onto Chevy’s website, and you’ll see a 1.5-liter gas Equinox LT starting at $27,695, while a similarly equipped 1.6-liter turbodiesel LT commands $31,435, or $3,740 more. To find out how long it would take for fuel savings to cancel out that added cost, I divided $3,740 by the difference in annual fuel costs between the 1.5-liter turbo Chevrolet Equinox and the 1.6-liter turbodiesel Equinox (I used the vehicles’ highway fuel economy figures of 32 and 39 MPG, respectively, to maximize the diesel’s advantage). The difference in annual fuel expenses between the gas Equinox buyer and the Diesel buyer is $113. Dividing the delta in price between the two models—$3,740—by the annual fuel savings shows that it’ll take 33 years for the diesel buyer to make up the added cost of the low-end-torquey engine. Recognizing that diesel shoppers tend to drive farther than people who normally buy gas cars, I ran the same exercise assuming that the driver goes 20,000 miles per year. That results in a fuel cost of $1,463 for the gas Equinox and $1,298 for the Diesel crossover. Dividing the delta in price between the two cars by the difference in annual fuel costs ($165), I still find that it’ll take 23 years to make up the price of the diesel engine in fuel expenses alone. Update: As a reader has pointed out, the Equinox Diesel LT also comes with the $1,945 Confidence and Convenience Package, and the gas LTs do not. Configuring a 1.5-liter gas LT with that package brings the cost delta between it and the 1.6-liter Diesel LT to $1,795. That brings the time needed to recover the added cost of the diesel engine down to about 16 years for the average driver, and about 11 for the driver who travels 20,000 miles per year. The argument that sensible crossover buyers will be sensible enough to run the calculations and find that they’ll save money on fuel is not a good one. Because they won’t, for a long, long time. So I called up Tara Kuhnen from Chevrolet to discuss what’s really going to draw in customers to the Equinox. She told me that low-end torque and range (577 miles of range for the FWD diesel) are two of the big ones. The latter, Kuhnen pointed out, is considered a convenience in a market where convenience is key. What makes the diesel option attractive is torque, efficiency, range and customer satisfaction. The Equinox’s 240 lb-ft of torque provides the response of a larger engine. The passing ability is phenomenal with 219 lb-ft available all the way from 1500 to 3250 rpm . The EPA estimated 39 hwy. mpg speaks for itself, but keep in mind this is in an SUV. So convenience and low-end torque seem to be the driving factors, here. But is that enough to justify the premium? Americans have been wary about buying diesel cars for years. As you can see in the graphic above, in 2014, diesel cars only made up about 1 percent of vehicle sales. And this year in July, only about 0.34 percent of light-duty vehicle sales had diesels under the hood, according to Hybridcars.com. Part of that has to do with diesel’s perception. To a lot of Americans, compression engines have a reputation for being unrefined, dirty agricultural and commercial powerplants. And Volkswagen’s Dieselgate scandal did little to quell these thoughts. The other issues, of course, are price both at the pump, and at the dealer. After looking at the numbers, and just knowing the conservative mindset of a typical crossover customer, I’m unsure if the 2018 Equinox is going to be able to get over those enormous hurdles. I agree that the convenience of being able to travel over 590 miles without refilling is appealing. But is that convenience (about 100 miles extra range over the gas Equinox) worth the inconvenience associated with refilling Diesel Exhaust Fluid, finding gas stations that sell the fuel, and just paying more at both the dealership and per-gallon at the pump? I’ll also admit that a turbodiesel (with a variable geometry turbo) that makes 240 lb-ft of torque (90 percent of which is available between 1,500 and 3,250 rpm) is pretty great. But honestly, how much is a crossover buyer going to care about an extra 37 lb-ft of torque over the base engine (which, by the way, makes 33 more horsepower). And if they did care, why wouldn’t they just buy the 2.0-liter turbo, which isn’t much more expensive, torquier (260 lb-ft at 2,500 rpm) than the turbodiesel, and still scores 29 MPG? The 2018 Chevrolet Equinox Diesel seems like a hell of a tough sell. People aren’t going to buy it to save money, I doubt they’ll buy it for that extra 100 miles in range, and I strongly doubt a crossover customer is going to care that much about low-end torque (and again, if they really cared about performance, they’d grab the 2.0-liter). There is one quote from Chevrolet’s Tara Kuhnen that maybe helped clarify why Chevy would bother to build this thing. She said “We know that diesel customers tend to be a fan of Diesel.” It seems like a simple quote, but it suggests that perhaps Chevrolet isn’t just looking for crossover shoppers to buy a diesel, but especially for diesel shoppers to buy an Equinox. As a big diesel fan myself (I enjoy the low-end torque, but I’m an enthusiast who’d never buy a crossover), I hope I’m wrong, and people buy these things in droves. This post has been updated to include the fact that the Diesel comes standard with the $1,945 Confidence and Convenience Package.